We'd like to welcome you to Fairview Church of God. Join us weekly as we gather for worship, instruction in God's word, fellowship and reaching the lost for Jesus. Prayer Requests — Each week there are prayer requests for us to keep close at heart. Sometimes they are shared during Sunday morning services, and sometimes via the prayer chain. Even if you haven't been notified, a general prayer for the requests is welcome at any time. God knows each need. Communion Sunday — We take Communion the First Sunday of each month. We practice open Communion which means that we invite all who have accepted Jesus as Lord and Savior to join with us. Missions on the Move — This group meets at various times. Watch the Sunday bulletin for announcements of upcoming meetings. Cookbooks — Cookbooks celebrating Fairview's 135th anniversary and Indiana's Bicentennial are now available for $15 each. 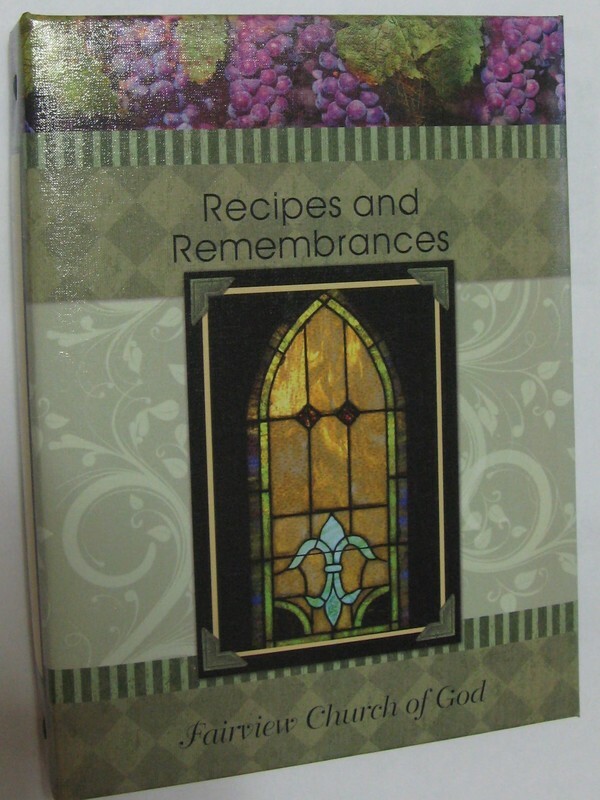 If you've ever wondered how our famous peanut brittle or Fish Fry cheesy potatoes were made, this book is a must-have! Volunteers Interested in Helping with our Hospitality ministry: Making Coffee, Hosting Snack Table, serving as Greeters please contact the church office for more details. Bag Mat Project — We meet the first Tuesday of each month to prepare and crochet mats for the homeless and needy. NOTE: this ministry is on hold for the time being. To grow in fellowship and love, we sometimes share a meal following services. We all bring a favorite dish to share, but don't feel that you can't participate if you didn't fix anything that day. There's always more than enough for everyone! As an outreach to our neighbors, we occasionally host a free meal (usually in the evening and at the church). Dress is casual; the food and fellowship are great! Please keep an eye on the church calendar for dates of upcoming meals.